You might consider yourself to be one of those parents-to-be whose home decor doesn't have to change much just because a baby is on the way. However, once junior starts crawling, exploring and putting everything and anything into his mouth, you're going to realize that "boy were you wrong". Baby-proofing, including removing cherished breakable items from reach, for safety, not to mention your sanity, is a must. Once your little one is on-the-go, every item you own is, in his opinion, 100% fair game and much more interesting than his nice new toys by the way. At this point you've got two choices: rid your home of all things nice or make sure your nice items (think glass vases and coffee table decor) won't be ruined by your tiny explorer. This in mind, below are 14 baby and toddler-friendly decor items you can actually keep out and around the house. Each item is attractive enough to please adults, but less breakable and more hands-on than typical home decor items, making them safer for homes with kids. This beautiful cherry wood bowl has unique circular cutouts that add allure to what might have been just a basic bowl, plus allows air to circulate and keep fruit, rolls and bread fresh. Safe for food or other objects, this bowl will look great anywhere and your tot can’t break it. Made with natural wood and hand finished with all-natural beeswax polish. Mini Empire’s Africa wooden animals look great on a coffee table or bookshelf and are fun and safe for kids over the age of three years. Made of FSC beech wood and printed in color on one side and black on the other with water-based inks. With young kids in the house, plants on the table or floor can pose a problem. This growing wall art kit by Heather Auchter allows you to keep some green growing in your home, but is practical and out of reach of little hands. The rustic, wood-framed box garden is designed to grow indoors or out, vertically or horizontally with soil held in place by a layer of water-preserving moss and a light mesh. 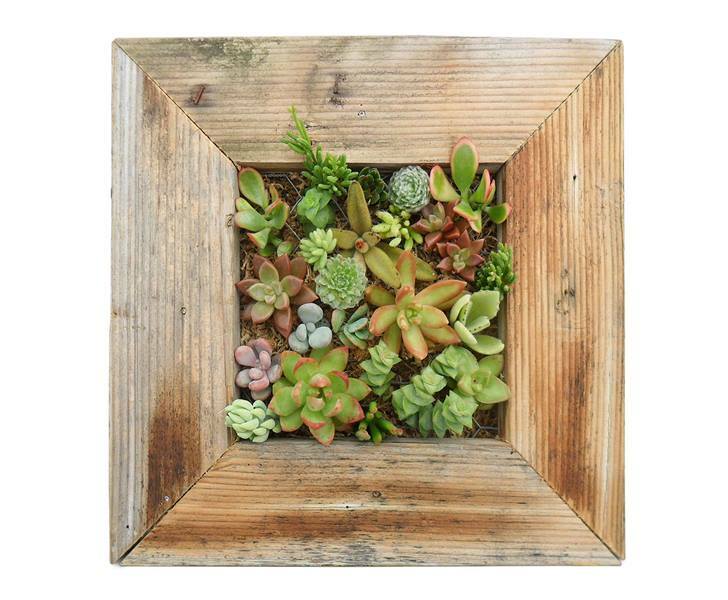 The kit is all-inclusive, with everything you need to plant the succulent cuttings. 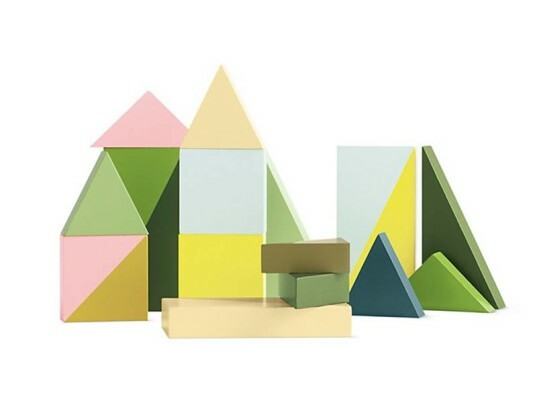 These charming wooden blocks, designed by Lee Storm for Danish brand HAY, come in a set of 16 colorful geometric shapes and sizes. Perfectly delightful for kids and adults alike, the set is available in two color variations – Green or Rose, both of which allow the whole family to create fantasy landscapes. Beautifully handcrafted from walnut, maple, mahogany, and zebrawood, this intriguing design by Michael Stromberg appears to float in midair using only the power of magnets. Kids will be enthralled and parents will be happy to have an attractive coffee table or desk piece that can’t be easily broken. Single or as a group, these powder-coated steel metal trays look beautiful and modern from any side. 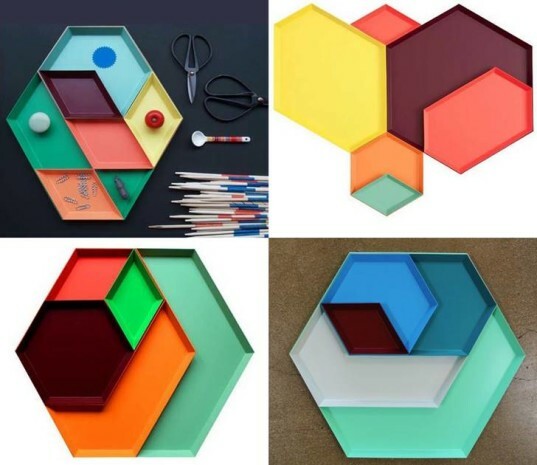 Designed by graphic designer-turned-product designer Clara von Zweigbergk, each tray combines with other trays into different formations depending on if you stack them or place them side-by-side. Great for the coffee table and made sturdy, these trays offer a kaleidoscope of possibilities. Not intended for food. 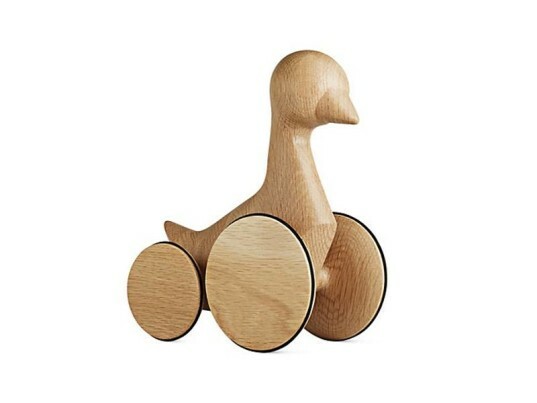 Ducky, crafted of lovely solid oak, might be the most sophisticated little duck we’ve ever seen. With an updated, but still classic look, this duck features oversized wheels with safe rubber treads that are not only whisper quiet but also super smooth. Having kids doesn’t mean losing your music edge, especially with these hip blocks on hand. 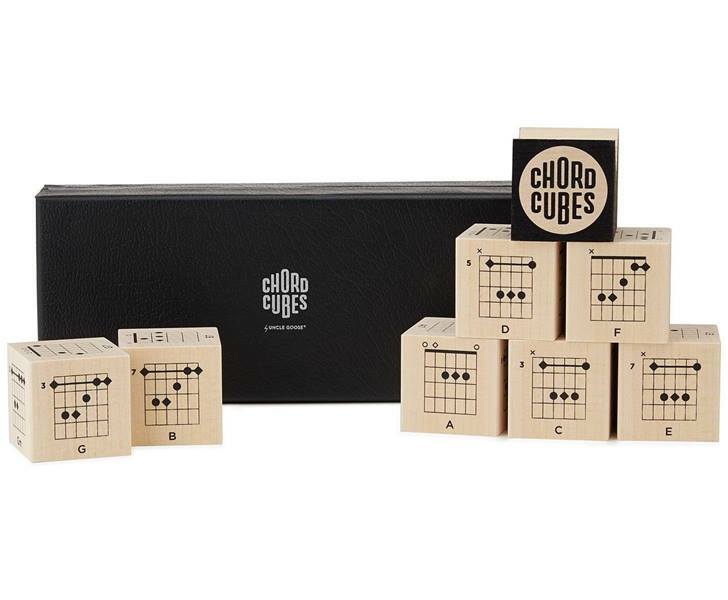 The set of 9 basswood cubes includes 52 chord diagrams in major, minor and dominant 7th, with open and barre configurations and the associated sharps and flats. The perfect interactive, musical conversation piece for your coffee table. Printed with non-toxic ink, so if they end up in little hands it’s A-ok. Normally used for green tea leaves, the wooden tea jars of old Japan were a staple item in the temple kitchens and now Studio Arhoj has redesigned their own version using cute, and modern looking bird motifs. Use it in the kitchen or living room for storage or decoration. Each bird jar is handmade with little imperfections and variations and features engraved eyes and logo on the bottom. 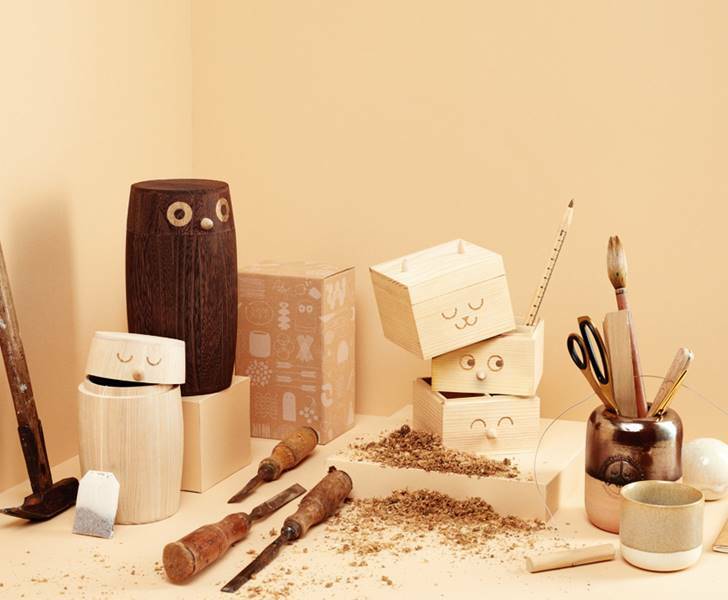 The Totem Box, also made by Studio Arhoj is a small tower made to keep your little bits and bobs in order and consists of three Totems: Cat, Owl and Bird. 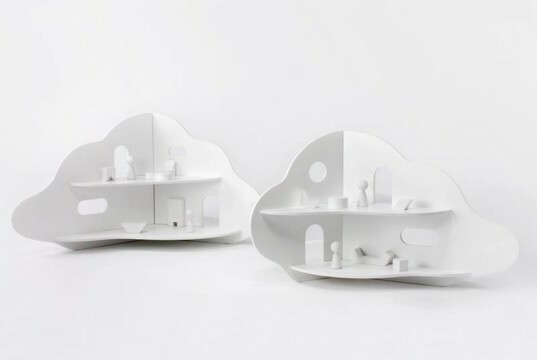 From Rock & Pebble, the same folks who brought us the clever pear shaped dollhouse and elephant shaped dollhouse, comes the serene and wavy Cloud House, which will not only look amazing in your modern home but is safe and fun for kids to handle. Made of solid birch ply and water-based paint. This set of six coasters can be artfully arranged to form a tiled trivet and creates an illusion of 3D through color and geometry. 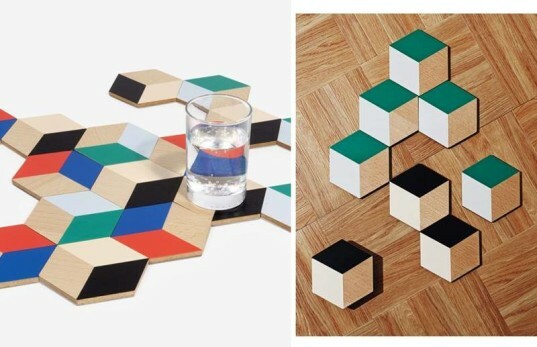 Use them to build playful mosaic structures on your table. Made of MDF, Beech veneer and cork and available in a variety of colors. 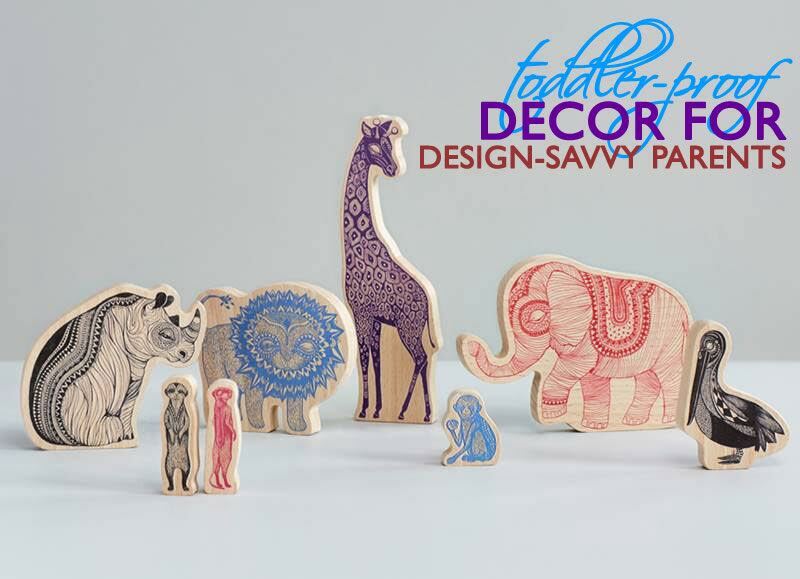 Wooden Story’s wooden block sets are made from FSC-certified wood and finished with beeswax and botanical oils. Safe for tots, these blocks are still cool enough to spark conversation and fun for adults. Each set comes in either a reusable bag or a solid wood box as well. 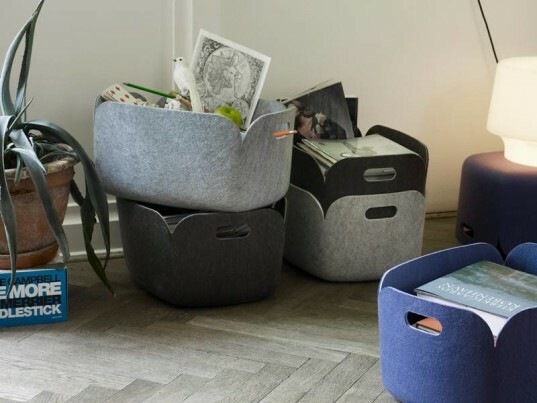 The perfect basket to store everything in your living space, while not posing a problem in a home with a toddler. Made of recycled PET bottles, the basket comes in multiple modern colors. OYOY toys look fresh and modern as table top pieces but aren’t going to break when your tot grabs one. The sweet little rabbit toy in particular is super cute, and made to stack piece by piece or can be hung for decoration. Made of Beech and Oak. 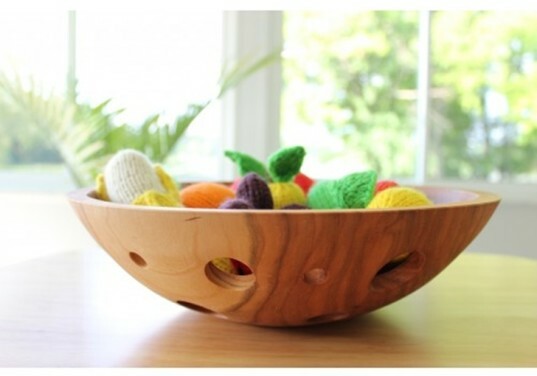 This beautiful cherry wood bowl has unique circular cutouts that add allure to what might have been just a basic bowl, plus allows air to circulate and keep fruit, rolls and bread fresh. Safe for food or other objects, this bowl will look great anywhere and your tot can't break it. Made with natural wood and hand finished with all-natural beeswax polish. 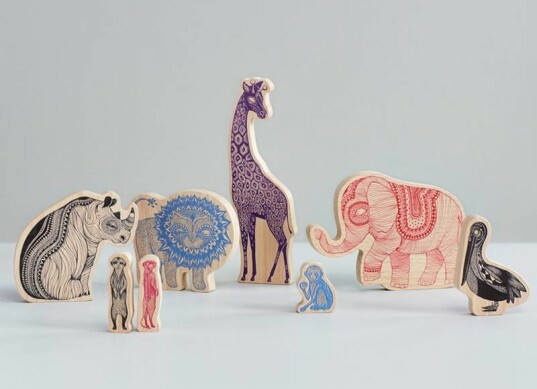 Mini Empire's Africa wooden animals look great on a coffee table or bookshelf and are fun and safe for kids over the age of three years. Made of FSC beech wood and printed in color on one side and black on the other with water-based inks. 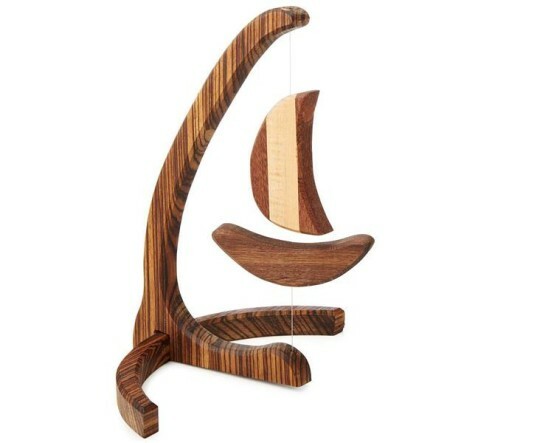 Beautifully handcrafted from walnut, maple, mahogany, and zebrawood, this intriguing design by Michael Stromberg appears to float in midair using only the power of magnets. Kids will be enthralled and parents will be happy to have an attractive coffee table or desk piece that can't be easily broken. Ducky, crafted of lovely solid oak, might be the most sophisticated little duck we've ever seen. With an updated, but still classic look, this duck features oversized wheels with safe rubber treads that are not only whisper quiet but also super smooth. Having kids doesn't mean losing your music edge, especially with these hip blocks on hand. The set of 9 basswood cubes includes 52 chord diagrams in major, minor and dominant 7th, with open and barre configurations and the associated sharps and flats. The perfect interactive, musical conversation piece for your coffee table. Printed with non-toxic ink, so if they end up in little hands it's A-ok. Wooden Story's wooden block sets are made from FSC-certified wood and finished with beeswax and botanical oils. 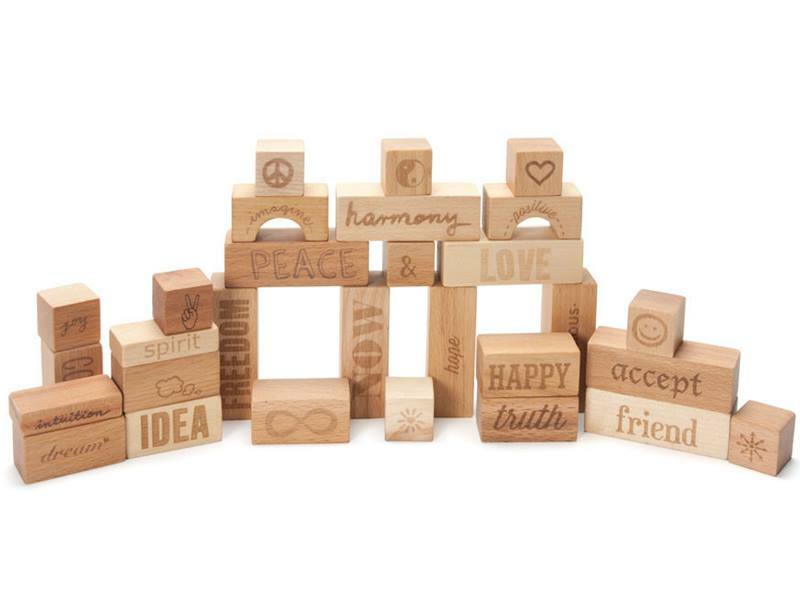 Safe for tots, these blocks are still cool enough to spark conversation and fun for adults. Each set comes in either a reusable bag or a solid wood box as well.